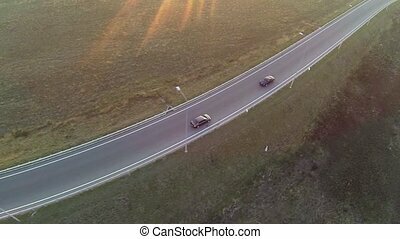 Aerial drone shot view of one enduro motorcycle drive through path or sandy trail on pine trees field during off road training in countryside. 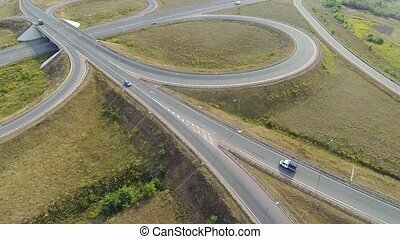 adrenaline rush fun. 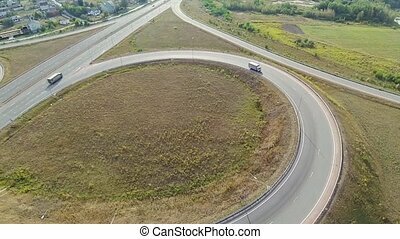 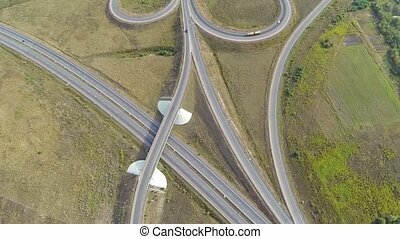 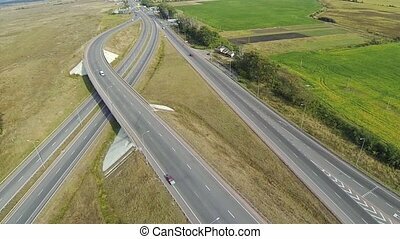 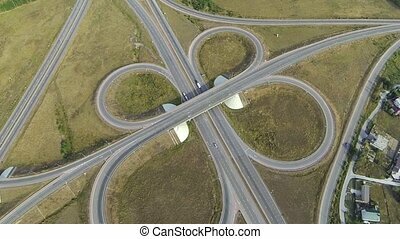 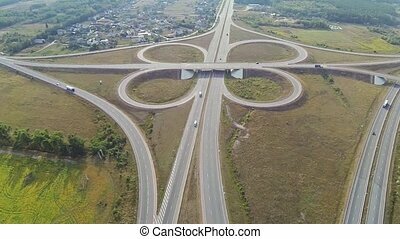 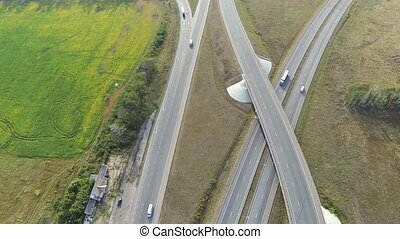 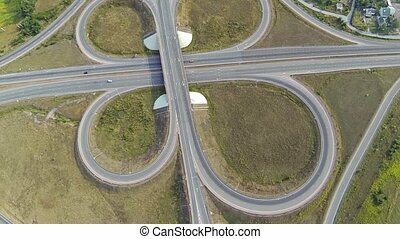 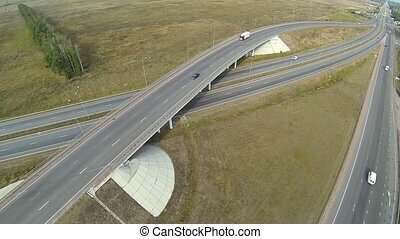 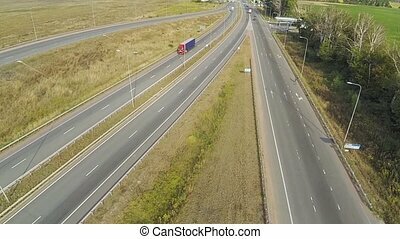 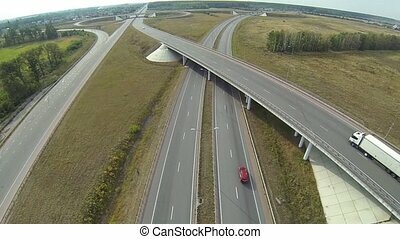 Aerial shot of highway junction, drone follow the car. 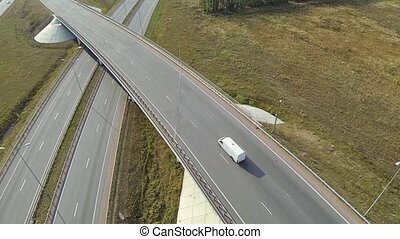 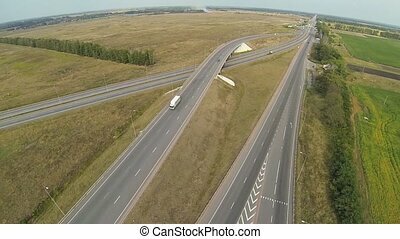 Aerial shot of highway junction, drone follow the truck.